It’s time to begin the all-out offensive on boredom. We have found the enemy (the dreaded “and, and, and” structure) and we have the weapon with which to destroy it (the ABT). Next month in workshops with USDA and USFWS, then a webinar in December, we will unleash the first stage of the campaign. Some day, boredom will be a thing of the past. 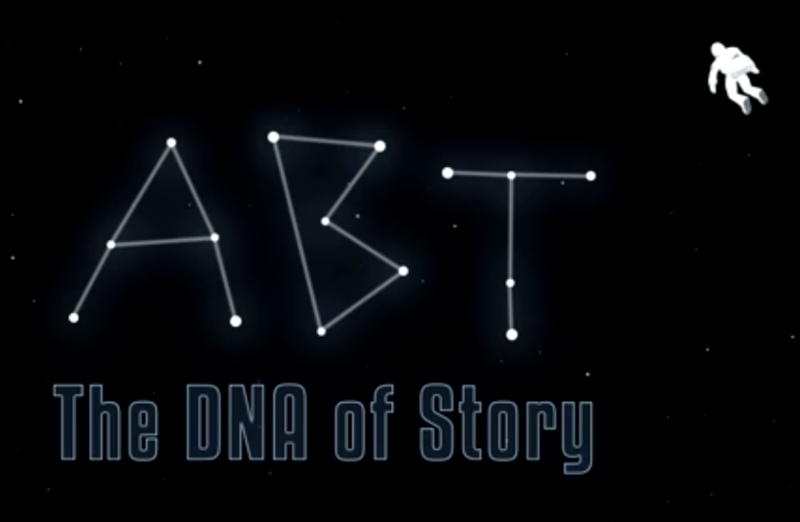 ABT: THE DNA OF STORY. Most of what you need to know about narrative dynamics, boiled down to just three words. OH, NO, HE WANTS TO KILL THE AAA? Don’t panic. Just having some fun here. The first wave of reviews on the book are out and they all have one thing in common: an appreciation of the power of the ABT. Nature called it “the backbone of story” and the Science review at least quotes me saying it’s awesome (good enough). It is indeed awesome, and is the central element of most everything I do now. Next week I’ll be launching two new Story Circles with USDA in Florida (training built around the ABT), then a couple weeks later will be in Madison, Wisconsin to run an ABT session with 50 scientists from US Fish and Wildlife Service and other government agencies. In addition to these training sessions, at the start of December I’m going to do a webinar on the ABT with a number of organizations. If you haven’t watched the 2 minute animated ABT video, here it is — share it with everyone who is bored with boredom.